WD-40 is sort of like reverse-duct tape. Think about it. Duct tape is an affordable household item that is every handyman’s friend—there’s nothing it can’t stick together. WD-40 is another familiar item in every garage and workshop across Summerville, and it also has legendary power—to unstick anything under the sun. Who knew WD-40 was so good for automotive detailing? You may never want to wash your car without it again! 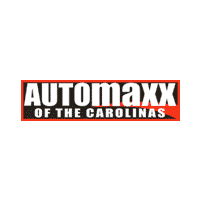 Check out the Autoblog video above for more in-depth instructions, and visit Automaxx of the Carolinas to find a great deal on a used car!